Tammy Wong Hulbert is a visual artist, curator and academic focused on exploring the complex and often fragmented spaces between cultures in a globalising world. She expresses these ideas through her artistic and curatorial projects which focus on socially engaged practices working with various urban communities. Her broader area of research focuses on curating the inclusive city and how this can contribute towards dialogues on the right to the city, expanding from her doctoral research on The City as a Curated Space, completed in 2011 at RMIT University, Melbourne. 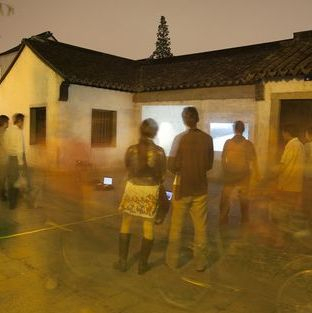 Tammy's career has spanned working as an artist, curating, lecturing and researching in the field of contemporary art. Tammy lives and works in Melbourne, Australia and currently lectures at RMIT University, Melbourne in Curating Contemporary Art in the Masters of Arts (Arts Management) program for the School of Art. As the suburbs of Melbourne grow, transform and renew, migration from all around the world transforms our local sense of place and how we perceive it. 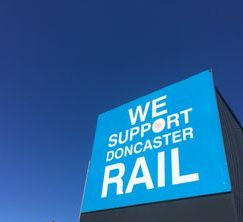 The middle ring suburb of Doncaster is no exception, with many new apartments and urban infrastructure being built to accomodate new families in an expanding Melbourne. 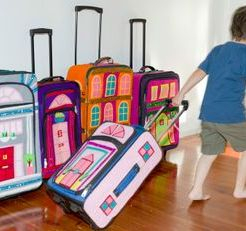 Throughout this year, I will be working collaboratively with diverse families of the Doncaster, Manningham region. Working with a number of local families, together we will explore how these families relate to their local and global sense of place, through a series of art based workshops, leading to the development of an exhibition. 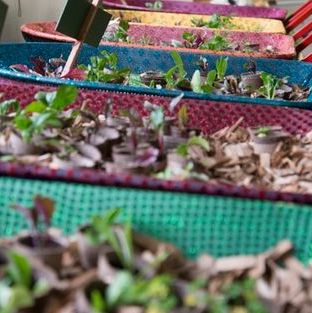 The project will pilot a 'social artist in residence' program and look at how artistic strategies can imaginatively build relationships and connect individuals through a deeper engagement with their local surrounds. Force of Nature was an exhibition exploring a range of artists responses to the natural environment through various media such video, installation and performance. Artists include Marnie Badham and Tammy Wong Hulbert, Peter Fraser, Myfanwy Hunter, Gabrielle New, Jill Orr, Gulsen Ozer, Laki Sideris, Melinda Smith, Gretel Taylor and Tony Yap. 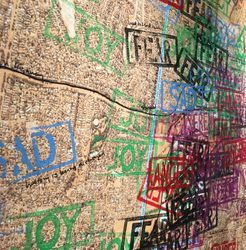 For this exhibition I collaborated with artist and academic Marnie Badham on Five Weeks in Spring: An emotional map of Lilydale, a mapping of local people's emotional responses to place and environment, making reference to the work of legendary new genre public artist Suzanne Lacy's 1977 work Three Weeks in May. As artists in residence at the museum during the exhibition, responses from the public were collected to gain a sense of the emotional attachments locals and visitors have to Lilydale and surrounds. 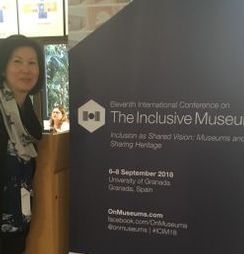 It was an amazing experience to attend the Inclusive Museums conference at the University of Granada, Granada, Spain. The conference was attended by delegates from all over the world, both from industry and academia. It was great to have the shared interest and discussions on strategies towards working in a more inclusive framework in the development of exhibitions and how to engage audiences. I presented my research work on 'Curating Inclusive Cities' with three other interesting colleagues who were also concerned about how we create urban environments which gives marginalised communities a voice in society through exhibition and curatorial practices. Such an enjoyable few days with good company, new friends and an amazing part of Spain to explore! The Waipo (Grandmothers) exhibition features artists Nicholas Chin, Tammy Wong Hulbert, Emilia Johari, Judy Leong, Yinghong Li, and Xiao Yu Ba, curated by Joyce Agee and Nicholas Chin. Two Wongs Making a White imagines a relationship between my Grandmother and myself which never existed. 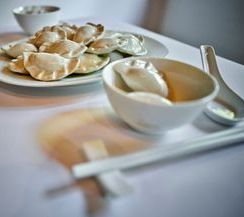 The work shines a light on the impact of 'White Australia' when the migration of Chinese wives were often denied, resulting in families being separated. Stories of my Grandmother have often haunted me, leading to producing a work that cares for her narrative and creates a place for her in our family through imagining the offering of a meal, a way of feeding my 'hungry ghost'. This exhibition is part of collaborative project by the Multicultural Museums Victoria which includes Italian Historical Society & Museo Italiano, the Hellenic Museum, the Islamic Museum of Australia and the Jewish Museum of Australia. Image: Two Wongs Making a White, mixed media installation, 2018, Photograph: Shane Hulbert. This exhibition brings together the works of artists of Asian-Australian backgrounds based in Victoria. The exhibition explores the hyphenated space between cultures and how this informs the perspectives of artists who identify with several cultural outlooks. Image: Still...what is left, Nikki Lam, video, 2017, from The Substation website. 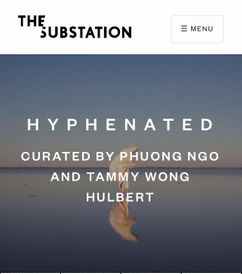 Nikki Lam, Phuong Ngo, Vipoo Srivilasa and Hoang Tran Nguyen presented their approaches to their work in the exhibition Hyphenated. Artists presented their diverse perspectives, critiquing their position in the Australian context, leading to a rich conversation of how living between cultural spaces informs one's sense of self and cultural outlook. The panel was presented by RMIT Contemporary Art and Social Transformation and Multicultural Arts Victoria (MAV), hosted by Andy Miller, General Manager, MAV. 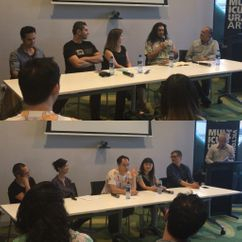 Image: Panel speakers in action - Rushdi Anwar, Sofi Basseghi and Ehsan Khoshnami, Andy Butler, Rhett D’Costa (top) and Hoang Tran Nguyen, Tammy Wong Hulbert, Phuong Ngo, Nikki Lam, Vipoo Srivilasa and Andy Miller of MAV (bottom). Anonymous Sojourners in the Australian Bush is a socially engaged public art project with the St Andrews community of Melbourne and Nillumbik Shire as part of their Living in the Landscape Public Arts Incubator. The project looks back in time, investigating the unknown history of anonymous Chinese miners from the 1850s. 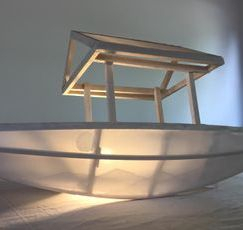 The project focuses on how contemporary art can reimagine and reconnect with a forgotten migrant community history and is developed in collaboration with the St Andrews Men's Shed. The project has now been decommissioned. Two of the lanterns remain inside at the Wadambuk Community Centre and four will be become part of the St Andrews Primary School community. Belonging and the Transient Home was a project building on my interest in how art can play a role in encouraging inclusive cities and communities. The project emerged from my earlier work in Glenroy, Victoria on the Artists Incubator project. Building on an existing relationship with the Vicseg Asylum Seekers Social Health Group, this project was specifically developed with the Iranian family playgroup, based in the northern suburb of Broadmeadows, Melbourne. The project explored ways in which an art based project, can be developed with newly arrived migrant communities, with the aim of encouraging participation in creativity, through a public outcome. This project explores the overarching theme of belonging in a new urban society, explored through the sharing of culture, themes of mobility, which encourage a rethinking of our relationship with the ever increasingly complex idea of home. Read my recent journal article reflecting on this work in the International Journal of Practice Based Humanities published in Volume 2, January, 2018. 3. Public Sleepers, (in collaboration with artist Shao Xiong Chia), artwork, public art project, Sile, Turkey, 2010.